High-voltage power lines transmit electricity in Shanghai, May 11, 2013. China has claimed another substantial gain in energy efficiency during 2017, when the official economic growth rate accelerated for the first time in seven years. On Jan. 19, the National Bureau of Statistics (NBS) said that China's energy consumption per unit of gross domestic product fell 3.7 percent, exceeding the government's target of 3.4 percent for the year. The key efficiency index, also known as energy intensity, is a measure of China's progress in reducing waste in industrial production and economic output. While the government invariably reports annual improvements in energy intensity, the latest claim is notable because the NBS has also estimated that China's GDP rose at a 6.9-percent rate, gaining speed after growing 6.7 percent in 2016. The intensity estimate paints a picture of the best of both worlds — faster economic growth with higher efficiency and less energy waste to cause climate change and smog. While that sounds like good news, it has been hard to verify. According to the NBS, China's total energy consumption edged up 2.9 percent last year, a far slower pace than the official GDP growth, supporting the calculation of less energy use per-unit of GDP. But indicators released so far suggest higher rates of energy use. China's electricity consumption rose 6.6 percent last year, the National Energy Administration (NEA) said. The rate outpaced the 5-percent increase in 2016 and a weak 0.5- percent rise a year before when GDP growth was also recorded as 6.9 percent. Apparent oil demand increased 5.9 percent last year, according to the research arm of state-owned China National Petroleum Corp. (CNPC). In 2016, apparent oil demand crept up 1.3 percent, S&P Global Platts energy news estimated last year. Natural gas consumption jumped by some 16.6 percent, based on figures from the official Xinhua news agency, as China pressed northern cities to replace coal with the cleaner-burning fuel. The National Development and Reform Commission (NDRC) reported a slightly lower growth figure for gas consumption of 15.3 percent, but that was still the biggest rise since 2012, Reuters said. As for coal, production and import figures both pointed to the first consumption increase since 2013. Domestic output rose 3.2 percent, the NBS reported. Coal imports climbed 6.1 percent, the General Administration of Customs said. While the electricity and fuel figures seem to be pushing against the NBS estimate of total energy consumption, they may also raise doubts about the validity of economic claims. But there were also signs that supported the story of stronger economic growth. Rail tonnage, a favorite "surrogate" indicator of the economy, along with power, rose 10.7 percent after an 0.8-percent decline in 2016. The wide year-to-year disparities in component figures raise questions about the relatively minor changes in GDP growth rates from 6.9 percent in 2015, to 6.7 percent in 2016 and back again to 6.9 percent in 2017. In reporting the 2017 results, The New York Times called the official GDP figures "implausibly smooth and steady." In a blog posting for the American Enterprise Institute in Washington, resident scholar Derek Scissors noted the virtually seamless stability of the official quarterly GDP growth rates, varying by only 0.1-0.2 percentage points over the past two years. The uncanny smoothness has prevailed despite jagged variations in contributing factors, including fixed-asset investment, retail sales, trade, and energy use. The preliminary NBS estimates are also typically unchanged despite more accurate data available later in the year. "Better numbers for calculating GDP appear later because they are hard to measure for such a huge population in less than three weeks after a quarter ends. GDP is easy because growth is so smooth that one almost knows the result in advance," Scissors said. The questions are compounded in the case of energy intensity, since it is a ratio of consumption estimates to official GDP. In a further complication, the NBS converts all forms of energy into "millions of tons of coal equivalent" (Mtcoe), using its own formulas. Yet, energy efficiency gains have also been remarkably stable, reaching a substantial 5 percent in 2016 and a whopping 5.6 percent in 2015, despite big variations in electricity use and outbreaks of smog. The intensity reduction announced for 2017 appears to put China on track to meet its five-year target of a 15-percent cut by 2020. David Fridley, staff scientist for the China Energy Group at the U.S. Department of Energy's Lawrence Berkeley National Laboratory in California, said the latest estimates are subject to revision. "These early reports need to be taken with a grain of salt. No huge economy such as China's could possibly have GDP and energy consumption numbers for a year that just ended three weeks ago," said Fridley, who has tracked the energy intensity figures as far back as the 1980s. In practice, significant revisions of GDP and energy intensity estimates are rare, or rarely publicized, with some notable exceptions. In 2015, the NBS disclosed a massive revision to its coal figures, indicating that the country had been consuming up to 17 percent more of the high-polluting fuel than it previously recorded. "Even for a country of China's size, the scale of the correction is immense," The New York Times said at the time. The revision was seen as a major setback for efforts to curb greenhouse gases by the world's largest emitter, boosting estimates of China's carbon dioxide (CO2) releases by nearly 1 billion metric tons per year. 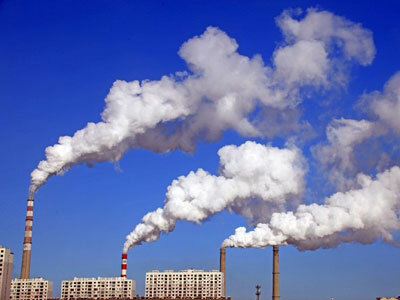 Fridley said that factors like growth in power consumption may be of little value in assessing the official intensity estimates, since electricity represents only 19 percent of China's final energy use. When asked whether the latest efficiency claims appear credible, given the data that has been seen so far, Fridley gave a mixed response. "Yes and no. Yes, in that the figure is certainly consistent with performance of other years and there was no huge jump in heavy industrial activity," he said by email. "But no, in the sense that I rather doubt the GDP figure." Fridley cited more concern for the climate implications of the estimates than for the efficiency numbers themselves. In November, international climate scientists of the Global Carbon Project warned that world CO2 emissions would rise two percent, citing an estimated three-percent increase in China's coal consumption in 2017. "The intensity numbers are not that important, since we still saw an absolute increase in CO2 emissions, and that's the bottom line," Fridley said.